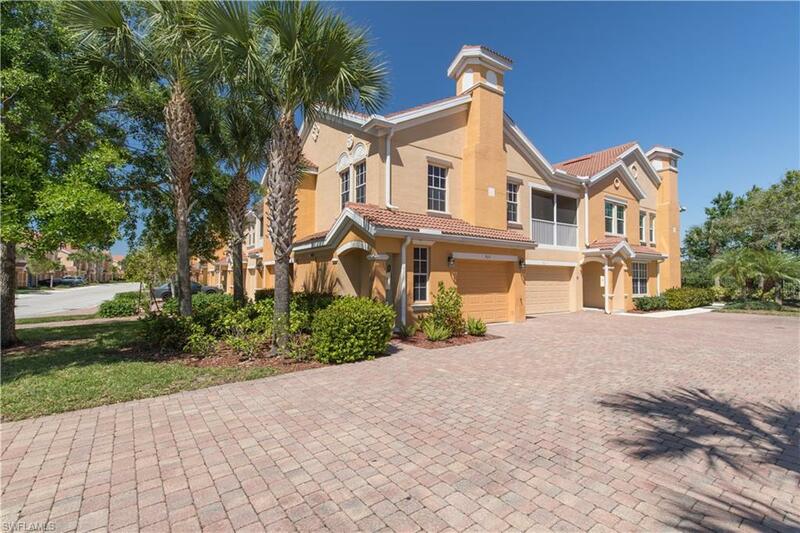 Pristine clean, must see former builders model end unit, southern exposure, w/lake view. 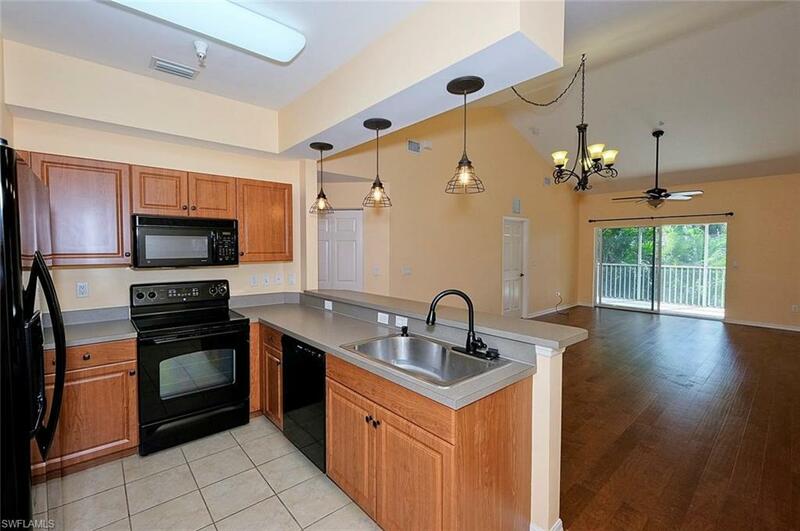 Upgrades include tiled lanai, outside kitchen w/granite countertops, cabinets/drawers and stainless steel mini fridge. Sliding/retractable screen on front door so you can enjoy cool breezes. Crown molding throughout entire unit. Hurricane/accordion shutters on lanai sliders and noise canceling slider screens on lanai so you can enjoy the serenity & peacefulness of the lake as you entertain, if you desire. 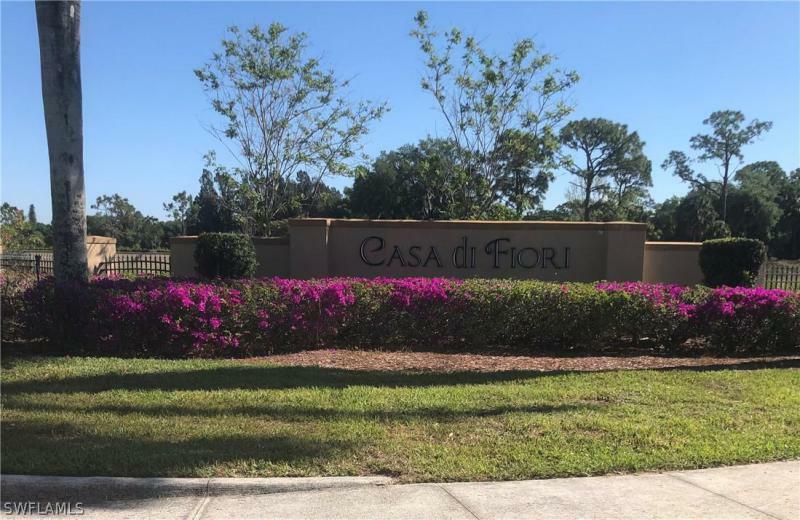 Casa di fiori is a hidden gem in the heart of cape coral located close to the pine island corridor with shopping, restaurants, medical facilities, entertainment, beaches and airport all within 5-40 minutes. Beautiful kitchen with oversized cabinets and granite countertops. Resort style pool w/lap lanes, spa, fitness center, tennis courts, bocci ball court, playground, picnic areas w/gas grills and community fire pit. Built to recent energy efficiency codes and have interior fire sprinkler systems. Less than 2 minute walk to amenties. Hoa fees are low. Attached garage has epoxy finished floor. Sorry corvette isn't included! Make your appointment today to see this one, send us your offer! So many upgrades ! This beautiful 3 bdrm condo is located in the upscale community of concordia lake. This 1st floor, end unit w/extra windows is bright and cheery. The many upgrades include gorgeous new wood-like ceramic tile flooring throughout the entire living area, new carpet in bedrooms, nice screen door at front entrance door, newly painted interior, new water heater, updated lighting, 42 inch hardwood kitchen cabinets, granite counters in kitchen and baths, and master shower tiled to ceiling. And this unit has a well needed 2-car garage! Living in concordia lake you will enjoy a relaxing lifestyle with a fantastic resort-like heated swimming pool w/vanishing edge overlooking the 5 acre lake w/fountain. The beautiful club house has a large well-equipped gym. The beautiful hardly-used furniture and furnishings are negotiable outside of contract. First floor, end unit, turnkey! Just bring your clothes and toothbrush. Turnkey means all furniture, linens and kitchen items remain for you. Pristine home, barely lived in. Furniture & decor cost the sellers over $14,000, you are going to love it. Great community with lots of amenities and low fees. Easily walk to pool and clubhouse, no need to drive! Detached 1 car garage. Extra storage closet on lanai. Washer & dryer in residence. Close to pine island road corridor for easy access to i75, shopping & restaurants. Wow. This is the best price on a highly upgraded 3 bedroom 2 bath with the coveted side by side 2 car garage. All situated in the concordia community with infinity edge pool. Fountain in lake and walking path around the lake. Can walk to restaurants and publix groceries. 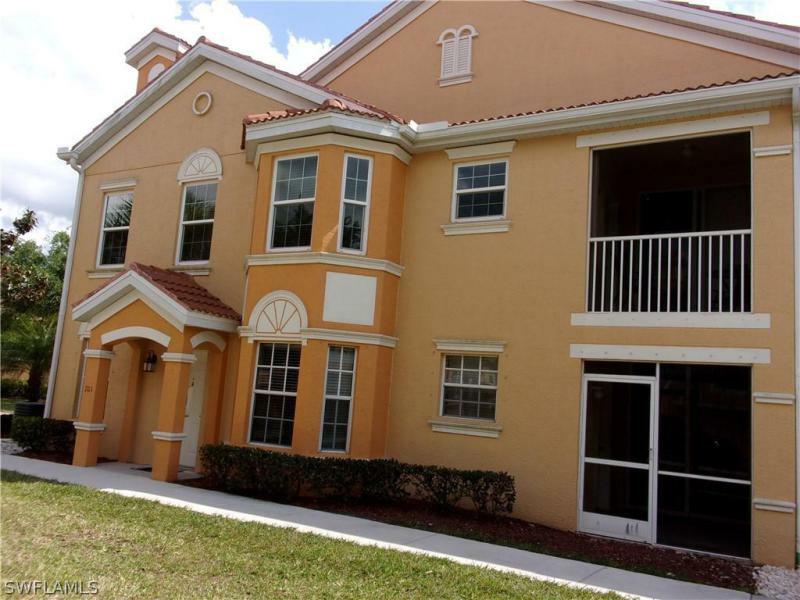 Upgraded cabinets, granite counter-tops, volume ceilings, large walk in closets. Upgraded with hurricane, triple pane, argon filled windows and door. Upgraded washer and dryer. Own this amazing home and please note furnishings are available. Furniture, tv's, pots and pans, dishes, beach chairs. Everything is available. A 1st floor lakefront tropical paradise awaits! 3br, 2ba, 2c tandem garage home in concordia a short walk to pool & amenities! New hot water htr, garage door opener, freshly painted interior & garage floor! Flexible split bedroom flr plan. Master bedrm w/adjoining full bath & walk-in closet! Lots of luxurious upgrades incl ceramic tile flrs, raised panel 42 maple cabinetry, lots of granite & all appliances too! Open concept flr plan incl kitchen w/breakfast bar to dining area to main living room & in-home office! Plenty of storage, association dues incl water, sewer & basic cable tv. Community abuts shoppes at n cape w/hand walking gate access without having to go to the main road, geo-thermal heated pool/spa, state-of-the-art fitness center, clubhouse, 5 acre man-made lake w/looping fountain & sugar sand walkways thruout! 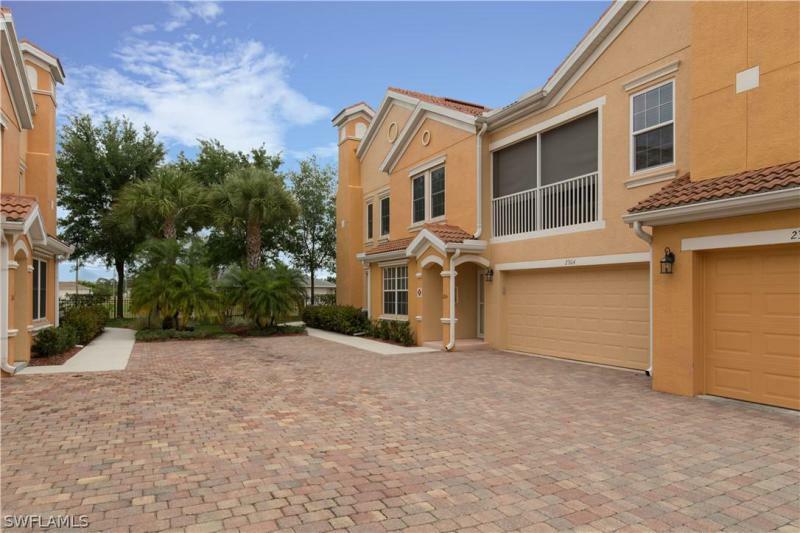 Fenced (not gated and no plans to add a vehicle gate), well landscaped, paver driveways & a short drive to area amenities incl shopping, restaurants, area beaches, airports (ft. Myers & punta gorda), medical (incl new va center), convenient to rts. 41 & i-75! Perfect for adding your touches to enjoy the swfl gulf coast lifestyle at an affordable price! Priced for quick sale. Freshly painted rare 3 bedroom 2 bath with a side by side garage in concordia lakes! 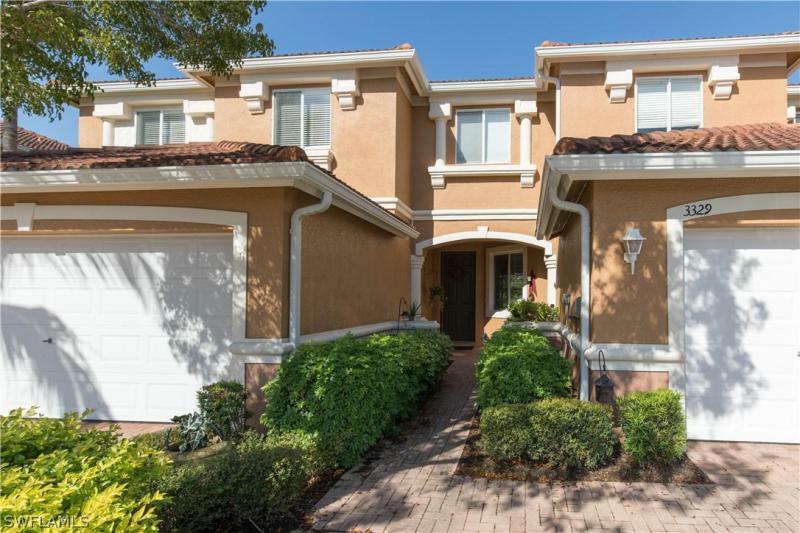 Hoa includes central water and sewer, basic comcast cable tv, state of the art fitness center, beautiful clubhouse, geothermal heated infinity pool, 5-acre man-made lake w/10 hp looping fountain, paver driveways, mediterranean flair buildings, fenced perimeter complete w/hand walking gates to shopping center w/publix & several restaurants! Excellent n. Cape location, a short drive to rt. 41 & 75, close to area beaches, airport, hospital and medical & much more to enjoy the swfl lifestyle at it finest! Never lost power during irma! Pet friendly! See remarks.